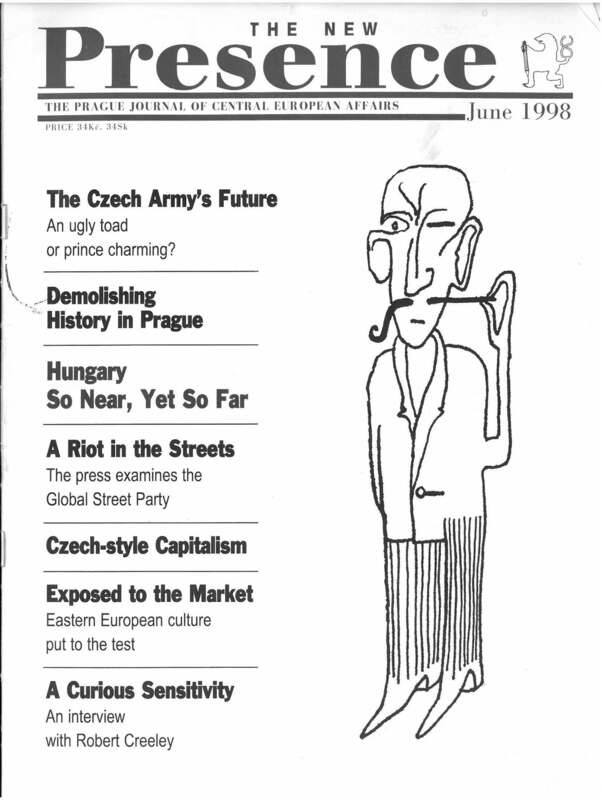 from The New Presence: The Prague Journal of Central European Affairs, June 1998, pages 18-19. 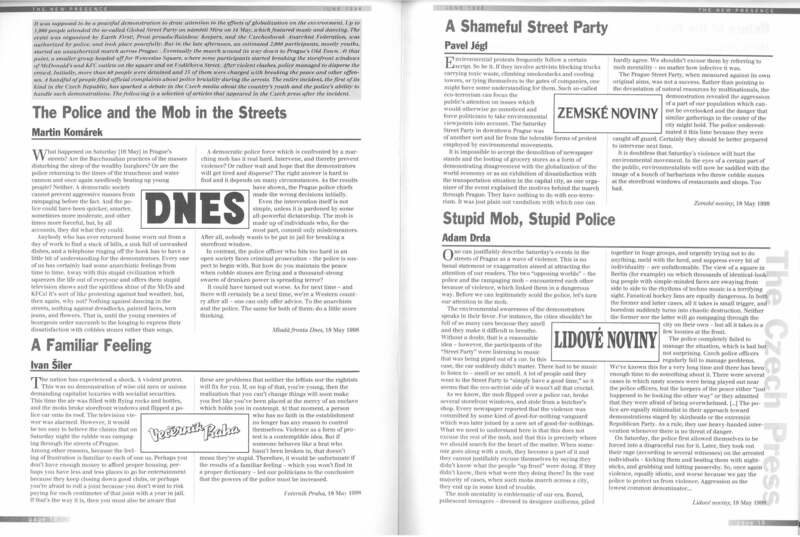 RADICAL ARCHIVES note: The 1998 Global Street Parties were Reclaim the Streets actions held around the world. They were one of a number of events that were direct precursors to the Seattle demonstrations against the WTO in November-December 1999. The Prague one is of note for both its size, location in Eastern Europe, and the fact that it was explicitly sponsored by a self-identified Anarchist federation along with semi-anarchist groups.